"Tufts CES was a great opportunity to interact with people from around the world and fine tune a variety of different skills. Overall, it was a valuable experience and an interesting way to explore the hospitality industry." - Nikayla L.
"Tufts CES taught me how to efficiently work with a multitude of different personalities in numerous situations. Working the front desk gives you plenty of opportunities to learn how you work best alone and with others." - Nathan C.
Welcome to Conference and Event Services! 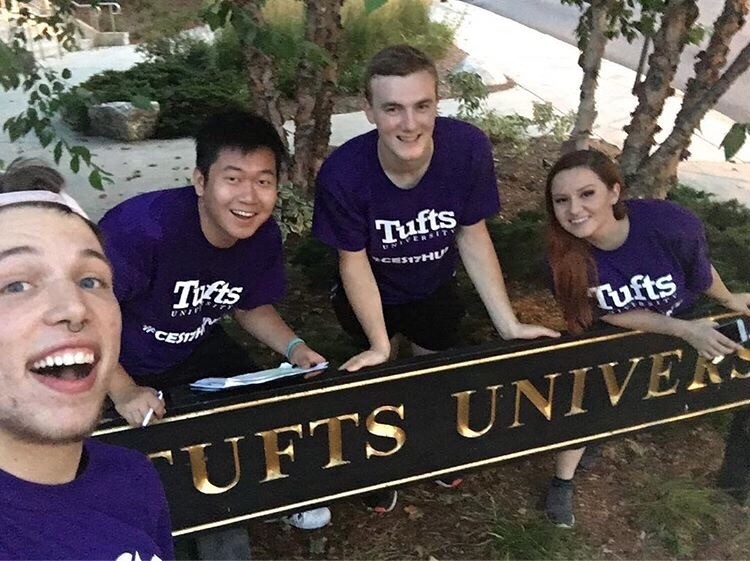 Tufts Conference and Event Services is a division of the university which was set up over 35 years ago to be responsible for coordinating summer activities and academic programs, as well as organizing and running special events for the university. During the summer months, when most of the students have left, Tufts Conference and Event Services transforms the campus into an international conference center. For 14 weeks, starting with Commencement, people from all over the world with special interests and academic objectives, spend from two days to six weeks studying everything from English as a Second Language to Global Leadership and International Relations. Tufts Conference and Event Services works with these groups to make sure that all their conference needs are met. During the summer, Tufts Conference and Event Services employs over 30 employees to help meet the needs of our summer programs and conferences. We maintain professionalism and respect at all times when working with clients while also providing meaningful and valuable experiences for our employees. Even though we hire majority of our staff for our summer operations, we also call upon former employees to assist with events during the semesters following their summer of employment. During the fall and spring semesters, we often hire 1-2 students, preferably former summer employees, to assist us with administrative tasks, event planning, summer operation prep, and more! If you are interested in working with us during the semester then email us at conferences@tufts.edu with your inquiry. We are no longer accepting summer applications for positions. Our hiring process for Summer 2019 has concluded. Check back during the Spring 2020 semester for Summer 2020 job opportunities. For more information about these benefits and other details regarding employment, please visit our FAQ Page. ©2019 Tufts University Conference and Event Services. All rights reserved.